Long before the concepts of “sustainability” and “green design” moved to the forefront of global awareness, LAN has approached projects with energy efficiency and environmental sensitivity in mind. By specifying thermally efficient building envelopes (walls and roof), occupancy sensors for lighting, energy efficient heating and cooling systems, and low-flow plumbing fixtures, LAN has historically helped several clients incorporate environmentally friendly features into their facilities. LAN is dedicated to sustainable building design and construction and has implemented the Leadership in Energy and Environmental Design (LEED) Program on many projects. 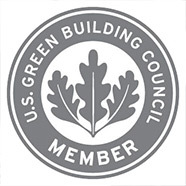 With a staff that includes approximately twenty-five LEED® Accredited Professionals, LAN can help you find ways to add green, sustainable features to your facilities within a budget, over time, with minimal disruption of your programs and activities. Not only will this help to create a healthier, more sustainable balance with the environment, but it will also help keep budgets in balance through reduced energy and operational costs.